To many, college is a place of freedom and happiness. A never ending party. The “Ahhh” feeling after drinking a cold Coca Cola. That place “somewhere over the rainbow.” That moment when your 89.5 gets rounded up to a glorious A. As the years go by, these expectations are sometimes replaced with a “Can this be done already?” But it is always interesting to get a fresh perspective on college from the experiences of the incoming freshman class. 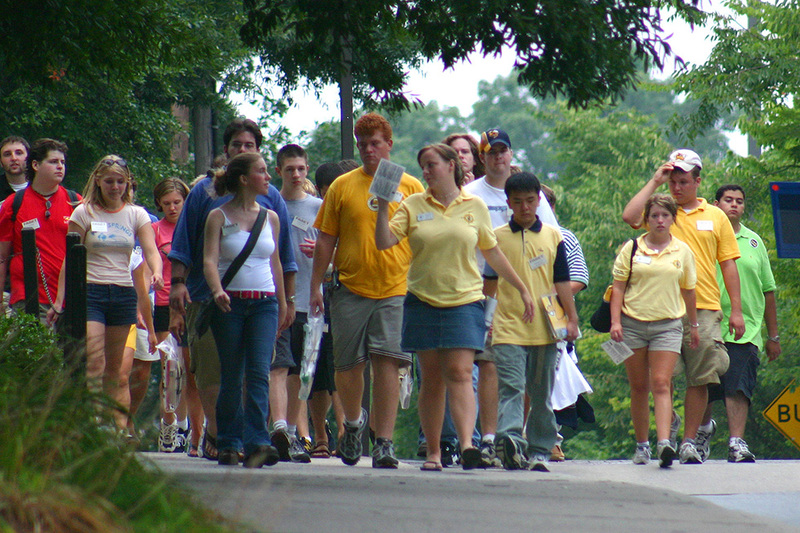 For freshmen, Tech is a vibrant, always-changing place. Compared to the tiring monotony of many high school towns, Atlanta provides a dynamic background to new students. Two of Tech’s finest freshman were kind enough to describe their first week on campus. Their names are Michael Moghaddam, a Computer Science major from Maryland and Apurva Kasam, a Business major from Georgia. When asking them about their first week of classes, Moghaddam responded that “it was actually really calm,” while Kasam felt that school hadn’t really started. Both enjoy the classes they are taking this semester and were surprised by the professors taking interest in their students. The professors are not the only people that impressed these two freshman, both enjoy their randomly selected roommates and the people living in their building. Moghaddam and Kasam live in the same building and told me that everyone on their respective floors are incredibly social. “Everyone is so friendly, and everyone’s doors are open all the time—at least my floor, I can’t speak for the other floors,” Moghaddam said. Besides the shower issue, Kasam and Moghaddam are enjoying all aspects of their lives at Tech including the dining hall food. Both eat mostly at the North Ave and Brittain because they live on East Campus. Because Kasam is a vegan, she opted for the Freshman 12 dining plan. She said that while she feels her options are somewhat limited, she likes the options that are available to her. Kasam and Moghaddam are very excited to be here at Tech. Moghaddam wants to take part in intramurals and participate in RoboJackets because he has been interested in robotics since high school. Kasam has signed up for Krav Maga and is planning on auditioning to be a part of the South Asian fusion acapella group, Taal Tadka. Both stated that neither one has felt more at home than at Tech because they are surrounded by great people and that there is never a dull day.